Looks like the pickleball players at the 2012 Kissimmee- St. Cloud Senior Games are having a great time!! 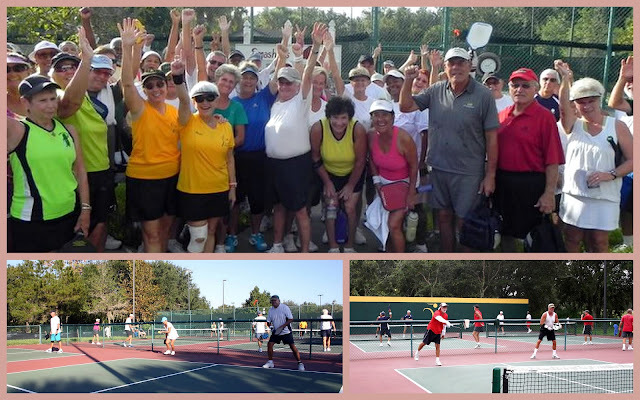 The event was held in Solivita, located in Poinciana, FL on October 15 and 16. There were approximately 250 competitors from various parts in Florida, with the oldest being 86 year old Tom Hylas of Solivita. Participants competed in Men's, Women's and Mixed Doubles, and also Single's play. The weather cooperated over the two days where we had typically sunny Florida days.